Dewpoints in the upper 50’s and low 60’s are high for Colorado! Good Monday morning and welcome to another wonderful summer week in Colorado! 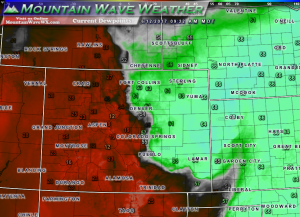 The big story today is the infiltration of higher levels of moisture along the front range today, dewpoints are up across the Denver area and to points East. 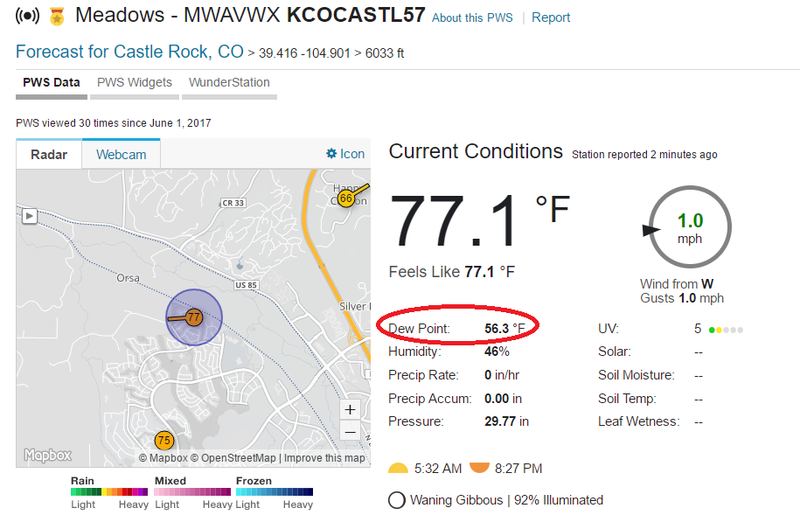 At last check from my weather station at about 9:30 we had dewpoints in the mid to upper 50’s in and around the Castle Rock area, this means it will feel a bit muggy this morning and possibly this evening if those numbers stay up. 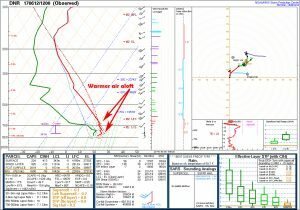 As the temperature rises throughout the day and the spread between dewpoint and temperature increases it will begin to feel drier, so that’s good news! 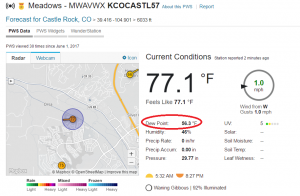 Heat and Moisture… Thunderstorms Today? Surprisingly the chance for thunderstorms is pretty low today, especially South of Denver. 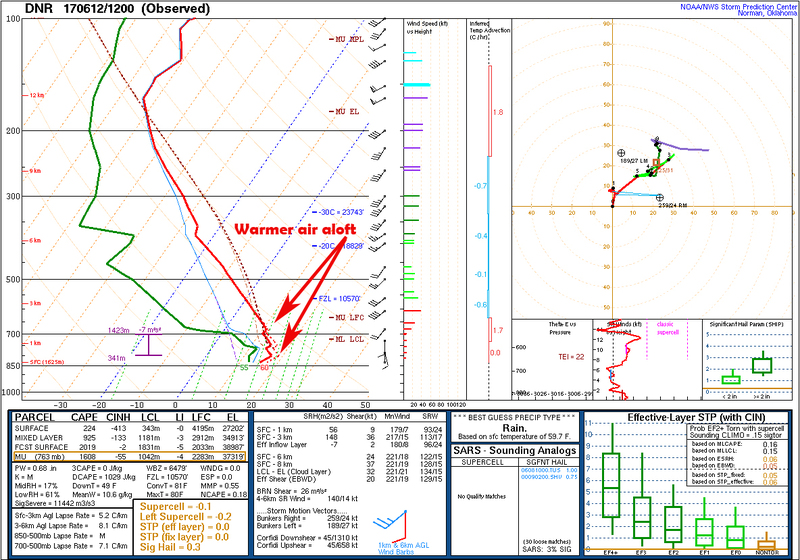 Mainly because of a pretty significant layer of warm air aloft, but some areas will see storms. We’re keeping an eye on decent chances of severe weather in Northern Colorado and into Wyoming, so if you or friends and family are in that area keep an eye out today! Warm air aloft will limit instability for many areas today. That being said, I would not be surprised to see a pop up storm here or there South of Denver with the combination of heating and if moisture can hold. We may get just warm enough for a storm or two to break through that stable layer. 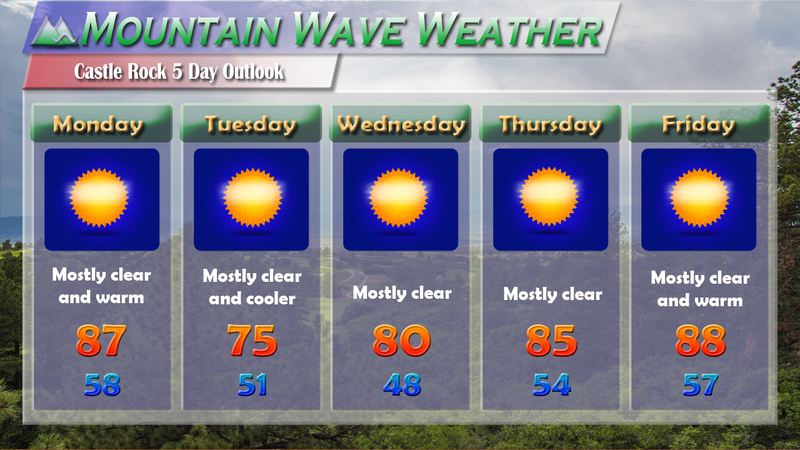 Rest of the week is looking nice for Castle Rock! 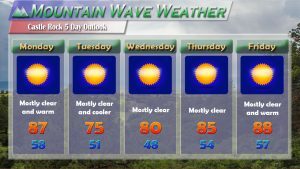 Expect the rest of the week to be very warm and dry, Tuesday looks like the only day we cool off a bit thanks to passage of a cold front. By middle and end of week we expect to be back into the mid to upper 80’s with many indications of near 90’s back into next weekend. Thunderstorm chances are pretty low overall but don’t rule out a surprise thunderstorm to pop up here or there. Keep an eye out for that and remember the UV index will be very high so sunscreen is strongly encouraged if you’re out for an extended period of time.